This was ABBA's final album and although the personal, inter-member dynamics within the band had completely changed by now, this is a surprisingly coherent, unified album, with no angst-ridden turmoil played out as on "The Winner Takes It All". in many, many ways, it is their finest album, certainly their most credible. It also had an enigmatic cover to go with it. The title track is a Beatles-esque (at times), grandiose track about Russian dissidents (or so I read, I can't hear it myself in the lyrics, but never mind). It is extremely catchy, as so many ABBA songs were. "Head Over Heels" is a very European-sounding, keyboard-driven number with a Germanic-influenced verse melody and a harmonious vocal chorus. "When All Is Said And Done", despite its uplifting refrain and great vocals, is a somewhat sad, nostalgic song with an underlying melancholy. As with many ABBA songs, it has been forever tarnished by the abysmally dreadful performance of it in the totally execrable film, "Mamma Mia". "Soldiers" is a mysterious, atmospheric song with more vague Beatles echoes. It is said to be an indictment of communism. The upbeat nature of the backing tends to deflect from that, however. "I Let The Music Speak" is another Teutonic-sounding song, that sounds a bit as if it had come from a stage show. Maybe not surprising as Andersson and Ulvaeus were also composing material for the musical "Chess" at the time. 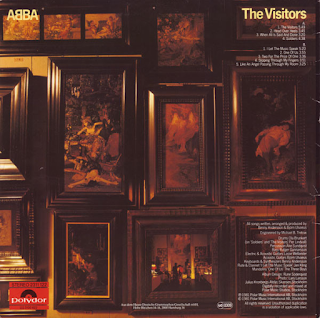 "One Of Us" is the album's big hit single and is the most typically ABBA number on here, with an appealing melody and singalong chorus. "Two For The Price Of One" is a wry song sung by Ulvaeus with excellent backing vocals. The harmonies on the sad "Slipping Through My Fingers" are also excellent. 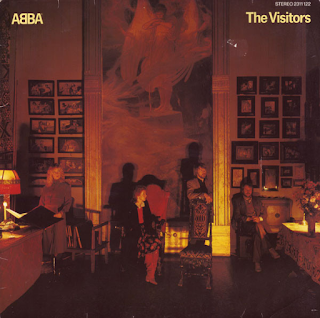 "Like An Angel Passing Through My Room" was a haunting, moving final track to ABBA's final album. Non-album tracks from the same period include the stunning, beguiling "The Day Before You Came" and the upbeat "Under Attack" and "Cassandra". There was also their final track for their aborted ninth album, the excellent "I Am The City". That then, was that. The sound of the seventies/early eighties was no more.